No one knows Sacramento construction better than Straight Line Construction & Roofing. With 15 years of experience as a California contractor, we have seen many construction scenarios and we know what works in our area. We offer great customer service, a friendly team, and high-quality craftsmanship. Give us a call today for a consultation. You won’t be disappointed! We are proud to service the Sacramento, California area. Sacramento, the capital city of California, is located in the northern part of Central Valley. The city, a major hub for arts, culture, and economic endeavors, has a major metropolitan area which includes seven counties. Sacramento’s history is as rich as its present culture: the Spanish settlement in the early 19th century and the gold rush of 1848, recorded in history books, boosted its wealth and fame across the United States. As a charter city, Sacramento’s political system is extremely important and fine-tuned, enabling citizens to play a very active role. Straight Line Construction & Roofing is a licensed California roofing and exterior remodeling contractor providing Construction Services throughout Sacramento and the surrounding areas. 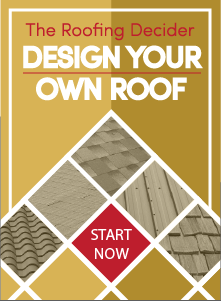 Find the best quality roofing contractor in Sacramento, Contact Straight Line Construction & Roofing today for all your roofing & exterior construction needs.